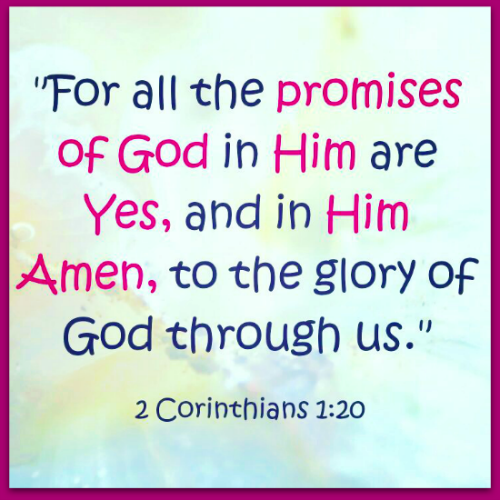 "For all the promises of God in him are yea, and in him Amen, unto the glory of God by us." (2 Cor. 1:20). 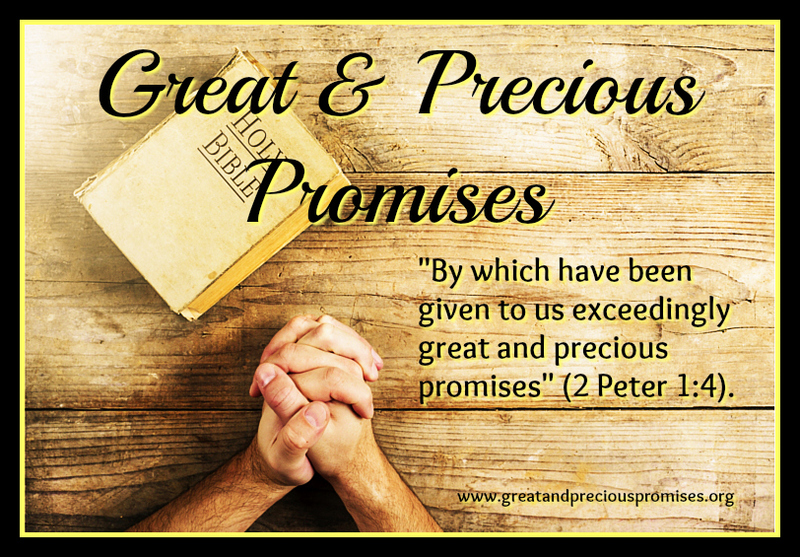 ﻿The Bible says that God has “given to us exceedingly great and precious promises” (2 Peter 1:4). The Bible describes God’s promises as being “exceedingly great.” Indeed that is true! There are hundreds of promises in the Bible. They are too numerous to count and too numerous to bring all to mind! 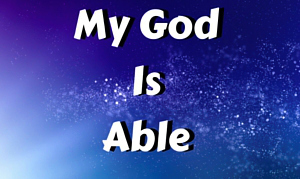 God has given to us many promises such as “Delight yourself also in the LORD, and He shall give you the desires of your heart” (Psalm 37:4) and “If you abide in Me, and My words abide in you, you will ask what you desire, and it shall be done for you” (John 15:7). The Bible also describes God’s promises as being “precious.” God’s promises are priceless and invaluable. They are comforting to the soul and encouraging to the heart. 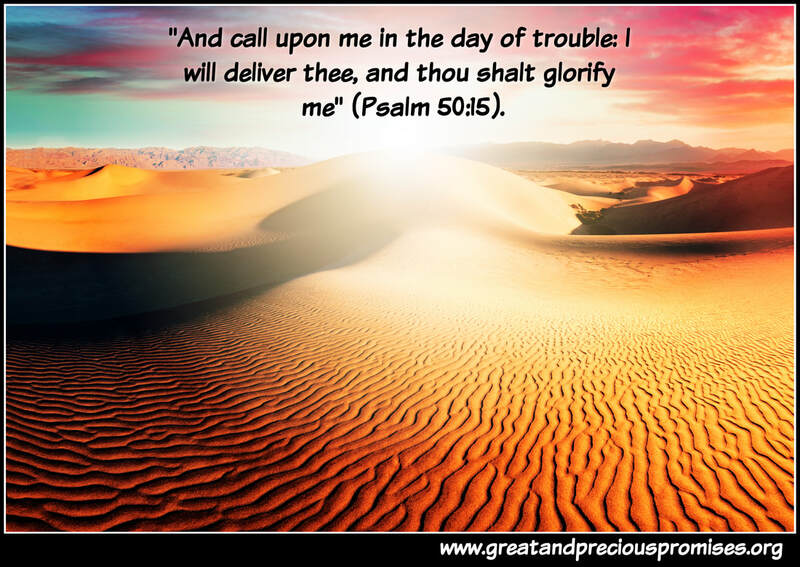 Promises such as “If we confess our sins, He is faithful and just to forgive us our sins and to cleanse us from all unrighteousness” (1 John 1:9) and “The steps of a good man are ordered by the LORD, and He delights in his way. Though he fall, he shall not be utterly cast down; for the LORD upholds him with His hand” (Psalm 37:23-24) bring comfort and encouragement to our hearts. The Bible says to “take the prophets, who spoke in the name of the Lord, as an example of suffering and patience” (James 5:10). Consider the example of Sarah also who “judged Him faithful who had promised” (Heb. 11:11). And finally consider the examples of the men and women in Hebrews chapter 11 – that great chapter of the heroes of faith “who through faith subdued kingdoms, worked righteousness, OBTAINED PROMISES, stopped the mouths of lions, quenched the violence of fire, escaped the edge of the sword, out of weakness were made strong, became valiant in battle, turned to flight the armies of the aliens” (Heb. 11:33-34). 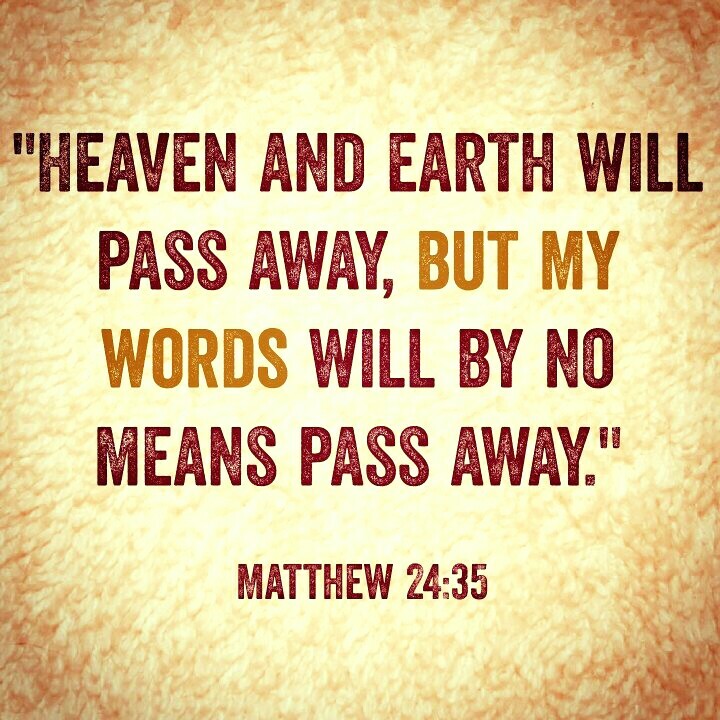 The Bible commands us to “hold fast the confession of our hope without wavering, for He who promised is faithful” (Heb. 10:23) and that we should “not cast away our confidence, which has great reward. 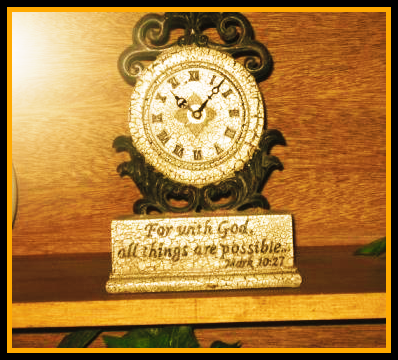 For we have need of endurance, so that after we have done the will of God, we may receive the promise” (Heb. 10:35-36).